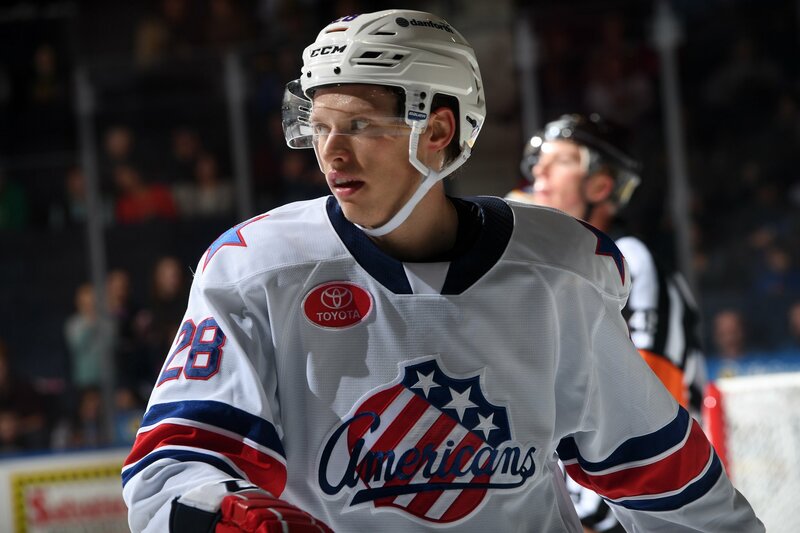 Pilut Gets Another Recall to the Sabres · Let's Go Amerks! The Buffalo Sabres made a move this afternoon and Lawrence Pilut gets his second call up of the season to join the Buffalo Sabres. Pilut had been called up last week but didn’t play two games at home for Buffalo before arriving back in Rochester. Pilut has had points in 13 of 16 games played this season with the Amerks accumulating 22 points (3G+19A). He also leads the league with a plus-19 and is tied with Zach Redmond for the league lead for points by a defenseman. The quotes below are from after Amerks practice on Tuesday morning before the move was made official. The Sabres are home tonight against San Jose and then they fly to Florida. They’ll play the Tampa Bay Lightning on Thursday and Florida Panthers on Friday. What this all means for the Sabres roster remains to be seen but Pilut will be on stand by if needed.